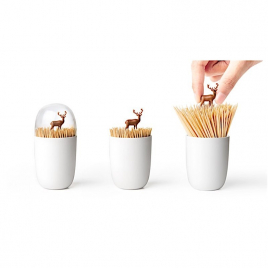 This small box will be ideal for aperitif tables: once filled with wooden picks, the little deer figurine will appear to emerge from an autumnal landscape! 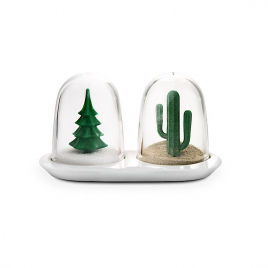 Version in 2 components of the spice shakers "season" by the brand Qualy : the salt and pepper shakers recreate on your table and in your kitchen, a miniature landscape! 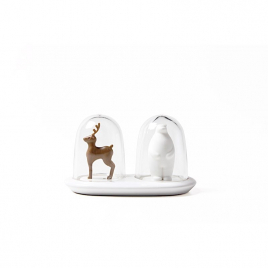 Version in 2 components of the spice shakers "Animal Parade" by the brand Qualy : this salt and pepper shaker will bring a touch of wilderness to your table and kitchen! 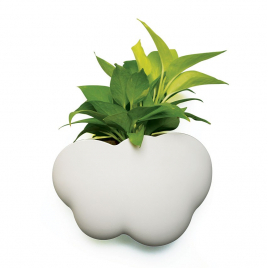 Bring a bit of exoticism and poetry to your table and on the shelves of your kitchen with these sets for spices where each container is inhabited by a small figurine!